Hi all. I can NOT believe it is December! We’re 20 days from Christmas! Ack…. I’m all moved in to my new booth at KnB’s Marketplace located at 120 Raleigh St. in Fuquay Varina, NC. Check out these cool lamps repurposed from a John Deere engine filter and an industrial funnel. I really need to find somewhere to use the industrial funnel one – I love it. 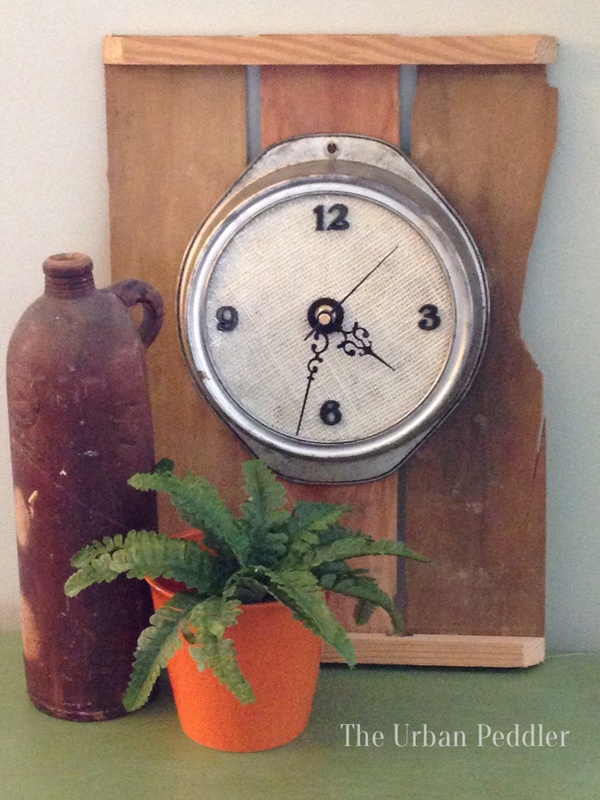 Speaking of repurposing….I found these cool cake pans with the bottom that lifts out ….Today a cake pan…..Tomorrow a clock! My good friend, Dana, dropped by today at work. She’s an avid photographer – naturally talented, can turn anything into a great snapshot. Many of my facebook photos – the ones that look any good – were taken by her. My current facebook profile pic of the wooden spools is one by her and definitely one of my favs. Whew….what a day we had in Cameron. It was awesome. The weather was gorgeous. 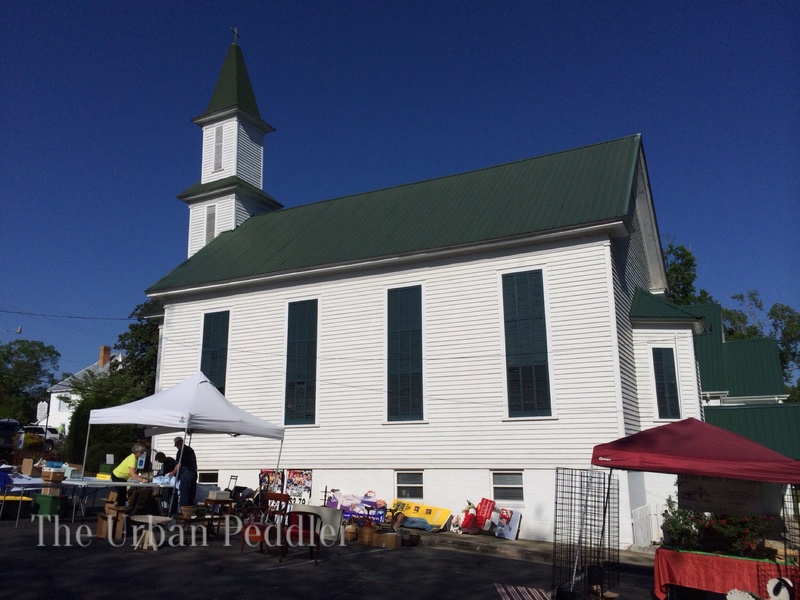 We were set up in the parking lot of the United Methodist Church. Our spot was about a parking space and a half – the perfect size – not too big and not too small. Plus the gal renting the spot next to me was unable to make it so we were also allowed to overflow into her spot. Ms. Joyce, from the United Methodist Church of Women, was our hostess for the day. She has to be the nicest woman I’ve ever met. A good southern woman. I called her about 3 weeks ago to ask about renting space to sell at the antique festival. She was warm and welcoming. We exchanged paperwork a few times (no email just good ‘ol paper mail) and each time she’d sign her name “Love, Joyce”. A good southern woman. 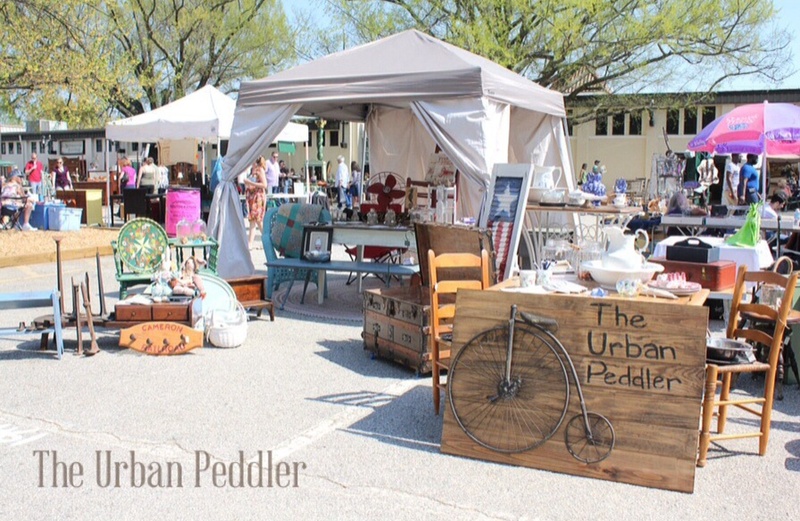 I had a fabulous time last weekend at the Raleigh fleamarket. The weather was incredible even despite my sunburned neck. My favorite part was hearing what people were looking for or the treasures they found. 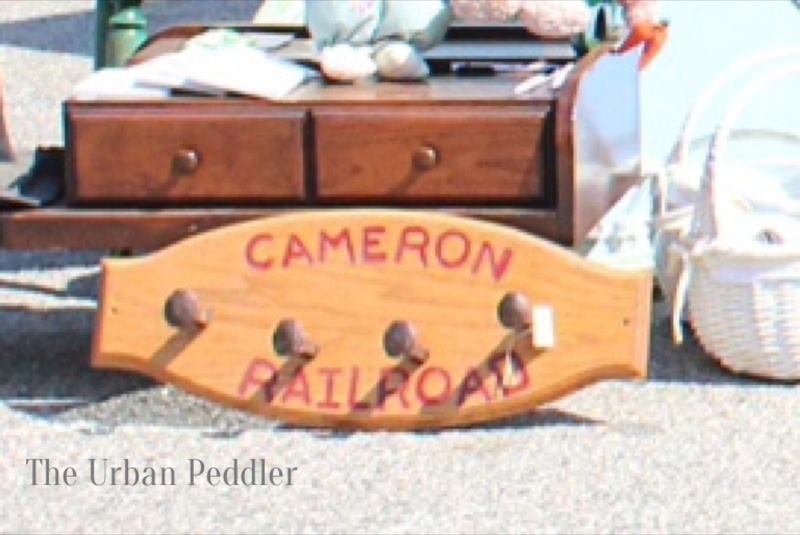 We had such a remarkable day that we’ve decided to do the antique festival in Cameron, NC on Saturday, May 3rd. I know the shoppers will be as great as the Raleigh shoppers. Here’s a few of the unforgettable people we met…. 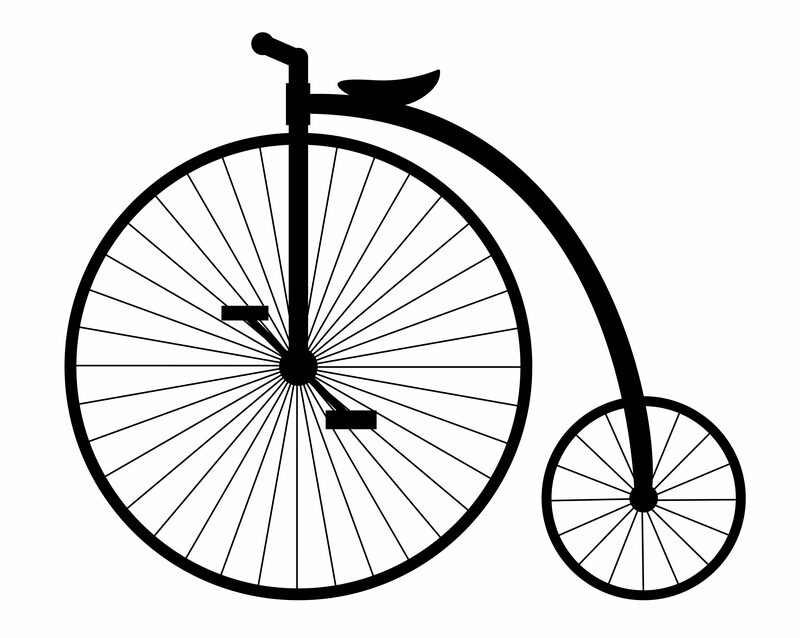 …and we are Peddling! For real this time! Hi everyone. I am very excited! At the last minute I was able to book a spot at the NC flea market for this weekend. It’s supposed to be beautiful weather and the fairgrounds is not only hosting the weekly fleamarket but also the Southern Ideal Homeshow, the Chatlee Boat Show, and the tobacco expo. We’ll be there peddling from 9am-6pm. Look for us at spaces 460 & 461. We are in the main thorough fare of the antique and collectibles section. I’ll have my panama jack tent set up filled with Peddler finds!